Omaha’s unique in that almost all of the pediatric physicians are allied with one of the major players in town, so there are very few independent or small pediatric provider practices. So we have not really entered into that market of pushing our EMR out to community docs because most of them, if they’re not affiliated with us, are affiliated with another large system and they’re using that system’s EMR. Two other major organizations in town either are in the middle of implementing Epic or have announced intentions to start that process, so what that environment will look like when many of the organizations in Omaha itself are on the same platform is going to a question. Our goal is a completely integrated medical record across the entire continuum of care. We operate a home health agency, we operate all these clinics, and we have a hospital practice, so we want record for that patient no matter where he or she is in the system. Pediatric patients are not just small adults. Their needs are different, the diseases we treat are different, and their response to medications is different. So all of those things factor into how you build a decision support system and how you build a communication and education system for your patients. We have to watch to make sure that our calculations aren’t exceeding normal adult maximums, and at the same time they’re not under-dosing our patients and providing inadequate therapy. So we typically have anywhere from four to eight different data points alerting our providers for any given medication. That’s a considerably more complex build. Gamble: Hi George, thanks so much for taking the time for this call. Gamble: Why do we start by giving the readers and listeners an overview of Children’s Hospital Medical Center, just in terms of the number of beds, the type of services you provide, and what you have in the way of clinics and urgent care facilities. Reynolds: Children’s is a relatively small, free-standing hospital at 145 beds. We’re in Omaha, Neb., which is, I believe, the smallest town in the country to have two medical schools: Creighton University School of Medicine and the University of Nebraska Medical Center. We partner with both of those organizations and are the primary pediatric teaching site for both. We operate 10 general pediatric offices, two urgent cares, and a specialty pediatric practice group of about 135 physicians with outreach clinics in about 25 clinics, in addition to our central location. We offer a full range of pediatric and surgical services as would any other children’s hospital. Gamble: And as far as the services you provide, are you pretty spread out geographically in terms of serving patients from different areas? Reynolds: Yes. As I said, we have outreach clinics ranging as far as southwest South Dakota and eastern Iowa, and across the entire state of Nebraska. Gamble: I was looking at your website and it said that the organization changed its name in the last few years from Children’s Hospital to Children’s Hospital & Medical Center, is this just to reflect the growth of the organization? Reynolds: Yes. We opened a specialty pediatric center — I can’t say how many square feet, but a large facility — last year, and so the name change was to reflect the partnership with the University of Nebraska for those 135 or so specialty docs and the significant expansion of our specialty ambulatory services here on the central campus. 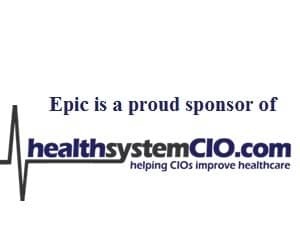 Gamble: Now as far as the clinical application environment at Children’s, at the hospital itself, are you using Epic or are you in the process of implementing Epic? Reynolds: In the hospital itself, we are on Legacy Eclipsys, now Allscripts, for inpatient, emergency department, and pharmacy as well as hospital billing and a number of other applications. We have Epic on the ambulatory side for both the general pediatric practices and all the specialty practices that I mentioned. We are in the process of migrating to an Epic enterprise solution in order to better integrate our system across the entire continuum of care. Gamble: Is this something that you’re starting to work on now? What’s the timeline for that? Reynolds: We have started that project. We look to go live with the first round in probably the end of the first quarter or beginning of the second quarter of 2013. That will be inpatient, including nursing documentation, physician documentation, bar code administration, inpatient pharmacy, emergency department, the oncology application, the OR application, and HIM. Gamble: So that is obviously is going be a pretty big initiative for you guys. So now with the physicians that you work with, do you work with employed as well as independent physicians? Reynolds: Yes. There are probably between 550 and 600 medical staff members. As I mentioned, the Children’s Specialty Physicians Group is a shared partnership with the University of Nebraska and that’s a 135 docs. And then there’s something on the order of 35 or 40 general pediatricians in that shared practice with Creighton. Neither of those groups is actually employed by the hospital per se, but they’re employed by partnerships that the hospital has entered into. Gamble: And with those physicians, are you working with different EMR systems? How does that work in terms of integration? Reynolds: All of those physicians are on Epic on the ambulatory side and all share this common hospital inpatient system at present. Omaha’s unique in that almost all of the pediatric physicians are allied with one of the major players in town, so there are very few independent or small pediatric provider practices. So we have not really entered into that market of pushing our EMR out to community docs because most of them, if they’re not affiliated with us, are affiliated with another large system and they’re using that system’s EMR. Gamble: Okay, so that makes it easier from one standpoint at least. Reynolds: I suppose, yeah. We do have the state HIE which is called NEHII, the Nebraska Health Information Initiative. We were one of the founding members of that organization and have been sending data there for at least the last three or four years, and pretty much — not entirely, but pretty much — every organization in Omaha as well as a number of organizations across the state are participating in that. The major exception at the moment is the two major players in Lincoln, which is the next largest town, about 45 miles down the road. We hope to bring them online as well. Gamble: As far as the HIE picture in Nebraska, is there a situation where there are a few of them existing right now? Reynolds: No. For all intents and purposes, NEHII is the state HIE. Gamble: So it’s just a matter of, like you said, bringing on some of the other major organizations? Reynolds: Yeah. Now in addition to our move to Epic enterprise, two other major organizations in town either are in the middle of implementing Epic or have announced intentions to start that process, so what that environment will look like when many of the organizations in Omaha itself are on the same platform is going to be at least an open question. Will they link directly using the Epic tools, or will they continue to use the HIE? Gamble: Right. Now once you’ve completed the Epic implementation, will you be considered an Epic shop or not, because you still some systems from other companies? Reynolds: You will always have some systems from other companies. I’m not sure I know exactly what being an Epic shop means, but we do intend to use the Epic solutions wherever possible. Our goal is a completely integrated medical record, as I said, across the entire continuum of care. We operate a home health agency, we operate all these clinics that I mentioned, and we have a hospital practice, so we want record for that patient no matter where he or she is in the system. Gamble: Okay. I want to switch gears a little bit and talk about being a children’s hospital. One of the things that I find pretty interesting is the key differences in delivering care to a pediatric population from an IT perspective. Can you talk about some of the biggest challenges there whether it’s communicating to the patients or just dealing with people of such different sizes? Reynolds: Well I suppose that’s the easiest place to start. One of our favorite dictums is always that pediatric patients are not just small adults. Their needs are different, the diseases we treat are different, and their response to medications is different. So all of those things factor into how you build a decision support system and how you build a communication and education system for your patients. I recognize no one has an EMR that works for them out of the box, but perhaps there is more customization and more intensive build involved in a children’s hospital because of these features. All of our medications that are auto-calculated as part of the EMR function obviously have to be built based on the patient’s size and weight, so whereas an adult facility may have a standard dose for an adult patient, we have no such thing. We have to watch to make sure that our calculations aren’t exceeding normal adult maximums, and at the same time they’re not under-dosing our patients and providing inadequate therapy. So we typically have anywhere from four to eight different data points alerting our providers for any given medication. That’s a considerably more complex build. Gamble: Right. And like you said, since it does require more customization, I would imagine that makes it a more complicated process rolling it out. Reynolds: It does. Our current inpatient system has probably about 250 rules that we’ve built and written, and we’ll have to translate all of those over.